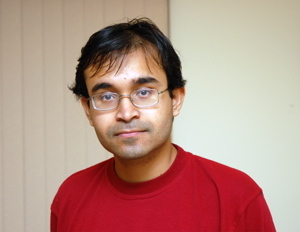 Sucharit Sarkar received his PhD from Princeton University in 2009 under the guidance of Zoltan Szabo. His research area is in low dimensional topology. His dissertation addressed topics in Heegaard Floer homology for 3-manifolds and knots inside 3-manifolds. Sucharit was appointed as a Clay Research Fellow for a term of five years beginning July 2009.